It’s lunch-time, depending where you live. Yum! What are you going to eat? Are you going to patronize one of those fancy gastropubs where you can order overpriced items like truffle mac and cheese, caviar flavored water (knowing this world, it’s probably a thing), and rose petal-infused chicken sandwiches? 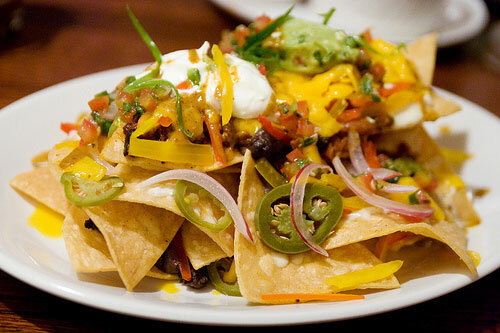 These are their version of nachos. Where’s the chili??? Or maybe you’re cheap like me, and you just REALLY want a miniburger, and not any of those sliders I keep hearing about? How about a Burger Bundle from Burger King? Oh, this is definitely MY way. This would be awesome, and so exciting–there is a BK near my apartment! But bad news–I’ll need a time machine too because they were only on the menu in the late ’80s. WTF. 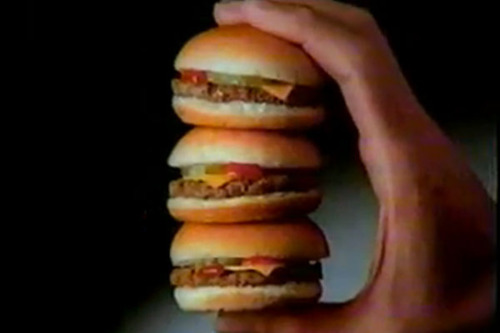 I’ll just imagine a better world for now where you could get three lil burgers for less than $2. This entry was posted in Trip Down Memory Lane, Uncategorized and tagged Burger King. Bookmark the permalink.